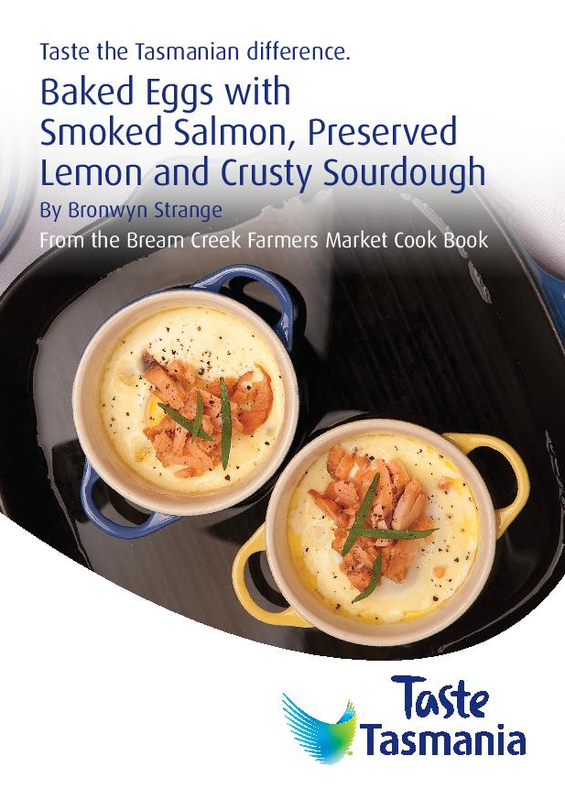 We are thrilled that the Taste of Tasmania have included four lovely recipes from the Bream Creek Farmers Market Cook Book on their promotional recipe cards at the Taste. 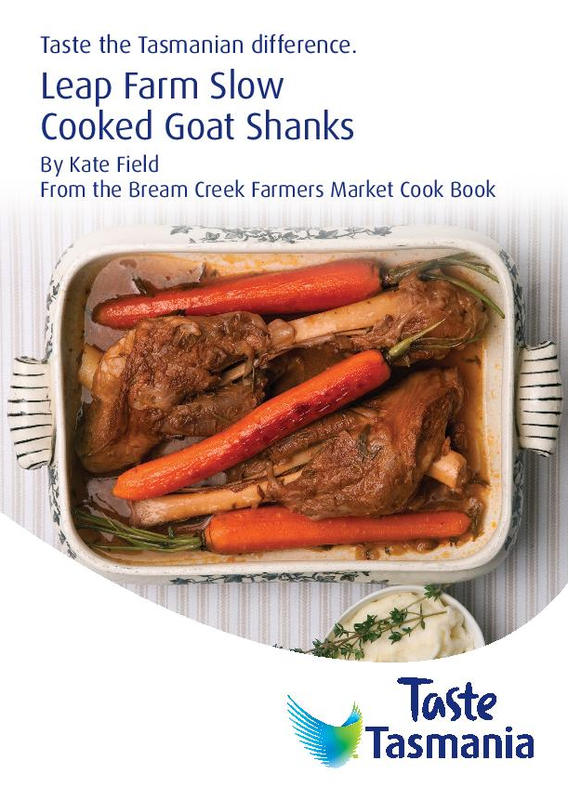 Recipes for Eloise Emmett’s Crayfish Pasta, Leap Farm’s Slow Cooked Goat Shanks, Pirate’s Bay Berry Farm’s Apple and Raspberry Shortcake and Baker Bron’s Baked Eggs are on these Taste recipe cards which are being handed out to patrons of the Taste – what a fantastic promotion for our Market, our wonderful producers and stallholders and for the Cook Book! 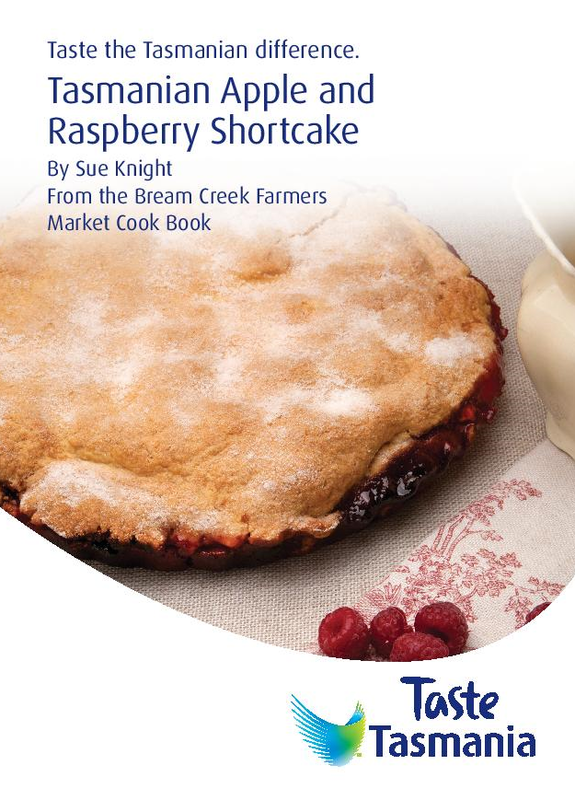 We at the Bream Creek Farmers Market are so proud to be able to feature such wonderful, locally grown, fresh produce and to have such fantastic producers involved in our Market. If you haven’t been yet, the Taste of Tasmania is a fabulous celebration of Tasmanian food, chefs, producers and more – there is great entertainment for the kids and grown-ups and nothing beats a long afternoon spent looking at the beautiful boats moored by the wharf while sampling some of Tassie’s finest produce and wines. You’ll also see some of our BCFM stallholders there, such as Cape Bernier Vineyard, Gillespies Ginger Beer and Lost Pippin! 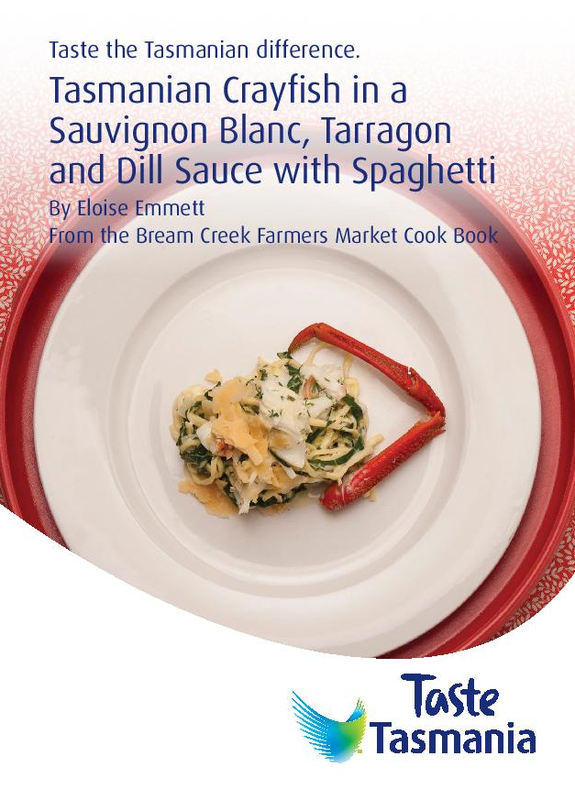 The Taste of Tasmania runs until the 3rd Jan so there is still time to get there and enjoy all there is to offer.